Click on the links to fill out and send your data sheet to AccuStar so that we can report your test results. You must use this form when you test in New Jersey with AccuStar’s 4" canister or LS vial test kit. You must use this form when you test in Florida with AccuStar's 4" open face canister or LS Vial test kit. 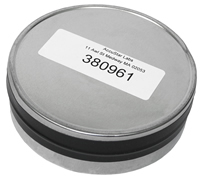 Short Term Radon Tests Using 2 3/4 inch canisters. 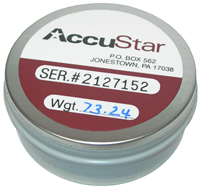 New Jersey Short-Term Instructions and Data Sheet - You must complete this form when testing in New Jersey with AccuStar’s 2 ¾" canister. New Jersey Project Data Sheet – You must complete this form when using 4 or more 2¾" canisters in New Jersey. Florida Short-Term Instructions and Data Sheet - You must complete this form when you test in Florida with AccuStar's 2 ¾" canister. Florida Short-Term Project Data Sheet – You must complete this form when using 4 or more 2¾” canisters in Florida. How to conduct a long term radon test in New Jersey with AccuStar's alpha track test kit. 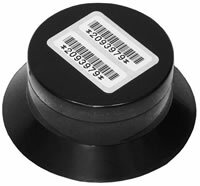 You must use this form when you test in New Jersey with AccuStar's alpha track test kit. How to test for radon in Florida with AccuStar's alpha track test kit. You must use this form when you test in Florida with AccuStar's Alpha Track test kit.